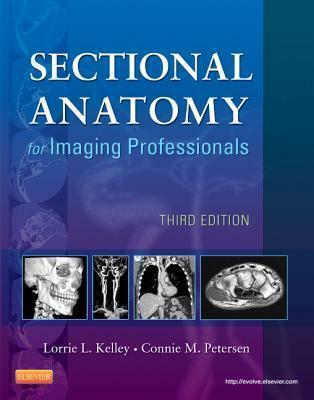 Designed to serve as both a clinical manual and an instructional tool, this text covers the sectional anatomy of the entire body in an easy-to-understand, comprehensive format. The user-friendly design of the book presents actual, diagnostic-quality images from both MRI and CT modalities, side-by-side with detailed line drawings to illustrate the planes of anatomy most commonly imaged. Concise explanations describe the location and function of the anatomy, and each image clearly labels all pertinent anatomic structures to aid in location and identification of anatomy during actual clinical examinations. The result is a practical guide that improves the imaging professional's ability to consistently produce the best possible diagnostic images. Instructor resources are available; please contact your Elsevier sales representative for details. More than 1,500 high-quality images detail sectional anatomy for every body plane commonly imaged in the clinical setting. Pathology boxes help you connect commonly encountered pathologies to related anatomy for greater diagnostic accuracy. Anatomy summary tables provide quick access to muscle information, points of origin and insertion, and muscle function for each muscle group. Reference drawings and corresponding scanning planes accompany actual images to help you recognize the correlation between the two. NEW! 150 new scans and 30 new line drawings familiarize you with the latest 3D and vascular imaging technology. NEW! Chapter objectives help you concentrate on the most important chapter content and study more efficiently. NEW! Full labels on all scans provide greater diagnostic detail at a glance.